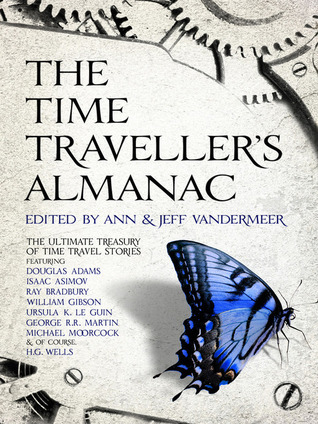 I read this as part of The Time Traveller’s Almanac, edited by Ann and Jeff VanderMeer. I’m not sure I’ve had time enough (there’s that word again…) to think about this story enough, but I can tell you it’s a good one. The protagonist, Ernie Sisco, is a cabbie. One day he picks up a fare and takes him to Harvard. The kid leaves a silver suitcase in the cab when he gets out. Ernie opens the suitcase later (knowing that what’s inside it is important to the kid), and finds a special suit inside. Experimentation teaches him that he can steal time – but that later he loses the time. This story is a moral investigation – what will you do if you can steal time, move around while everyone else is motionless, suspended in animation? – but it ends with the cabbie and the student having a heart to heart about time stealing, and I won’t mention the rest (spoilers). An excellent story with a new take on time travel, and I appreciated the human side too.